Browse > Home / Information, Education and Communications Division, Photo Releases / YOUNG VOICES’ SHOUT- OUT “ May PWD ID Kami, Kasali Kami!! YOUNG VOICES’ SHOUT- OUT “ May PWD ID Kami, Kasali Kami!! 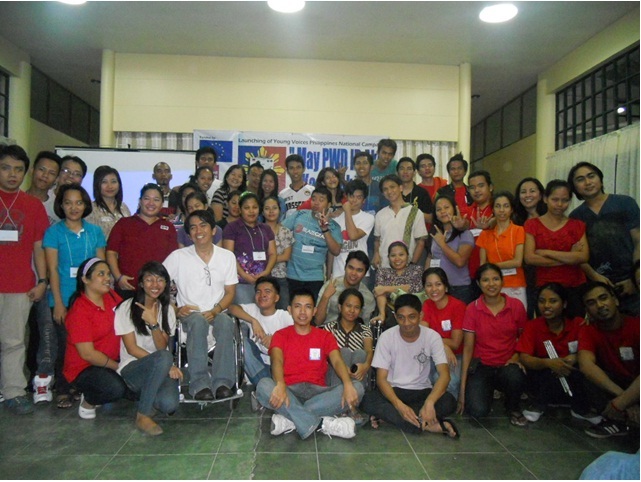 Leonard Cheshire Disability Philippines Foundation, Inc. (LCDPFI) gathered over 60 young people with disabilities and partners, to launch these “Young Voices” (YVs) as a powerhouse cast of disability advocates in Iloilo last October 28 to October 31, 2012. May PWD ID Ako, Kasali Ako! 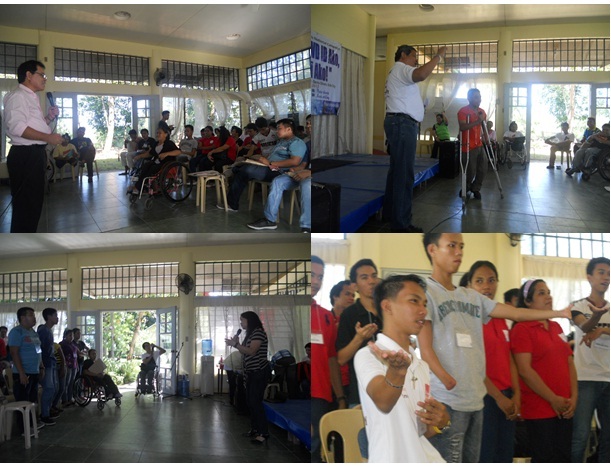 PNP-VI Regional Office Director Agrimero Cruz as the first Speaker, was widely cheered by the YV participants on his pledge to set up desks to address complaints of Persons with disabilities regionwide. This, if enforced, will serve as a model for all PNP headquarters nationwide. In her presentation, Ms. Virgie Rabino of NCDA IECD, herself a YV Coordinator when she was with LCDPFI, shared that less than 3% of children and youth with disabilities have access to education (Department of Education). And 0-14 years old and children with disabilities have no access to basic health and rehabilitation services (ADB). This gap all the more makes sense to develop YVs as advocates to push for their own rights and help create a disability inclusive society. Buzz Groups on cool campaign strategies, News writing/Journalism, ‘Know Your Laws and Rights’ by IECD Chief Zaldy Sanchez, below left, YV power! From LCD President Emmanuel Pengson. The youth with disabilities, actively tackled issues affecting their rights and ways to address them and fittingly capped the event with a cultural talent show/friendship night. To keep their commitments binding, in check and progressive, the group signed a Manifesto of Commitment, and agreed to hook up through Facebook and Twitter. Mrs. de Jesus challenged youth writers to submit news write-ups for NCDA’s website (ncda.gov.ph) and avail of ‘cool’ incentives in return. Moreover, the group could start writing YV success stories to be compiled as evidences of best practices by the youth sector. Genson Fernandez, youth leader from Mariveles, Bataan, reminded that knowing their RIGHTS and OPPORTUNITIES should be matched by a sense of RESPONSIBILITY on their part.